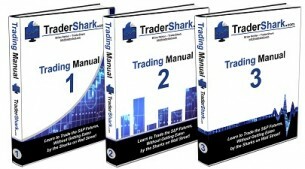 TraderShark has a unique style of simplifying a complicated futures market. Free Trial in the Shark Den! US Government Disclaimer: The information herein has been prepared solely for general information and educational purposes and is not an offer to buy or sell, or a solicitation of an offer to buy or sell the securities or financial products mentioned in the content, nor a recommendation to participate in any particular trading strategy. Please consult your broker for trading advice. All trading requires risking money in pursuit of future gain. Do not risk money you cannot afford to lose. Past performance is no guarantee of future performance. The instructor is not a broker or a licensed investment adviser and is therefore not licensed to give trading advice of any sort, nor make specific trading recommendations.